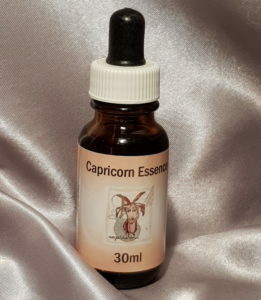 Capricorn Essence is the tenth in our Star Sign Range. Also the tenth sign of the Zodiac, Capricorn The Goat (22nd December – 20th January). Capricorn symbolises stability and conformity. Capricorn is the sign of ambition, intelligence and strong willpower channelled to a single goal. Capricorns always keep their cool; they are logical, rational and level-headed. This sometimes makes them seem distant, insensitive and closed to the ideas of others. Capricorn maintains a blinkered adherence to the mores of religion or society. The karmic challenge for this individual is to find his or her inner voice and to allow that to direct life; and to integrate the spiritual into everyday, material reality.